The good news sort of, kind of, tempers the bad. Scott Elmquist Final Gravity’s Tony Ammendolia won three first prizes in the 2016 Virginia Craft Brewers Cup for his Glide HefeWeizen, Fire Station 5 and Venus Rising. It was a week of closings: Family Meal, brought to you by Brian Voltaggio of "Top Chef" and "Top Chef Masters," swept into town on a tsunami of press. He’s truly a nice guy, despite this legal dispute, and Voltaggio hired acclaimed Richmond chef Travis Milton when Milton left Comfort. Milton’s off to Southwest Virginia now to open his own restaurant, and the news was announced last week that Richmond’s branch of Family Meal is now closed. An “Beer is the Answer” Bui of Mekong Restaurant also announced that his venture in the Fan, Commercial Taphouse, would close at the end of the month and reopen later in the fall with a new concept, name and owner. More details to come. Main Street Coffee at 1110 E. Main St. shut down after just over a year since its opening, reports Richmond BizSense. The spot had previously been filled by Sugar Shack Coffee. I usually avoid writing about chain restaurants and focus instead on local businesses, but holy cow, this news caught my attention: Ruby Tuesday is closing or has closed 95 locations, Inside Business reports, and eight are in Virginia, including one in Ashland. In better news: The 2016 Virginia Craft Beer Cup has announced its winners. Final Gravity Brewing Co.placed first in three different categories and the Answer placed first in two. Other first-place finishers included Ardent Craft Ales, Legend Brewing Co., Lickinghole Creek Craft Brewery, Strangeways Brewing and Triple Crossing Brewing Co., with Hardywood Park Craft Brewery, Garden Grove Brewing Co. and Steam Bell Beer Works receiving second- or third-place wins. 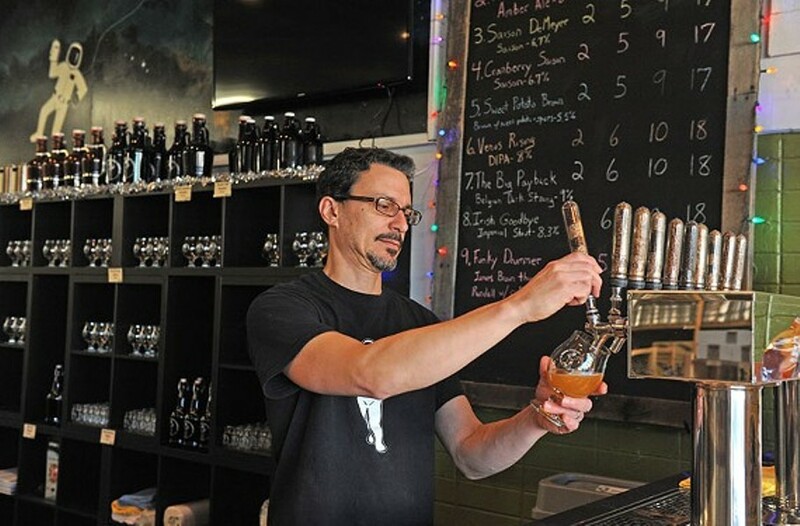 And speaking of beer, the latest on the scene, Kindred Spirit Brewing Co., opens on Saturday, Aug. 27, at 1 p.m. at 12830 W. Creek Parkway in Goochland Count, with music and food from River City Wood Fired Pizza and Smok-N-Pigz BBQ. Tickets are now on sale for the whirlwind celebration that is Fire, Flour & Fork. James Beard Award-finalist Ed Lee, owner of 610 Magnolia and author of one of my favorite cookbooks, "Smoke & Pickles," and Vivian Howard, James Beard-award semifinalist, star of the PBS series “A Chef’s Life,” and owner of Kinston, North Carolina’s Chef and the Farmer, as well as the near-impossible to find Boiler Room — where I had excellent oysters last week and my daughters bought borderline salacious T-shirts — are just a couple of the folks you can meet at the event. In addition, Questlove (yes, that Questlove) will be at Fire, Flour & Fork to talk about his book "Something to Food About: Exploring Creativity with Innovative Chefs." Tickets to the panel discussion ($60) can be obtained here and to the dinner later ($225), here. And finally, Aldi, the discount grocery chain, reports Supermarket News, is planning to build a regional headquarters and distribution center in Dinwiddie County, at a cost of $57 million. If you'd like to read a little more about the ultra-rich family that owns the company, Bloomberg has the surprising details. CORRECTION: Kindred Spirit's opening date has been corrected. In addition, this story has been updated to include information about the appearance of Questlove at Fire, Flour & Fork announced after its publication.